In a previous post, I visualized crime density in Boston using R’s ggmap package. 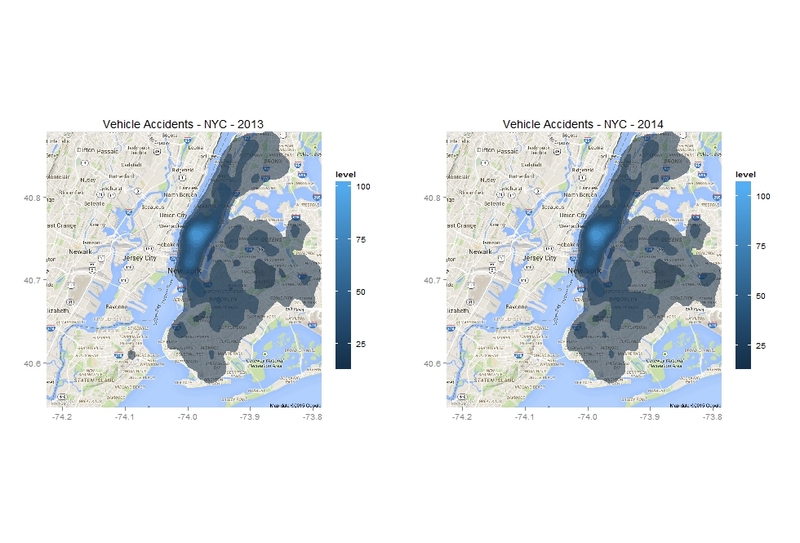 In this post, I use ggmap to visualize vehicle accidents in New York City. R code and data are included in this post. The data comes from NYC Open Data. My data cut ranges from 2012 to 2015. The data tracks the type of vehicle, the name of the street on which the accident occurs, as well as the longitude and latitude coordinates of the accident. Both coordinates are saved as a single character variable called “LOCATION”. Next, I use get_map() to query Google Maps and get a map of NYC. I add a two-dimensional density layer to this map using stat_density2d(). I do this for both 2013 and 2014 data and use gridExtra’s grid.arrange() to place the maps side by side. 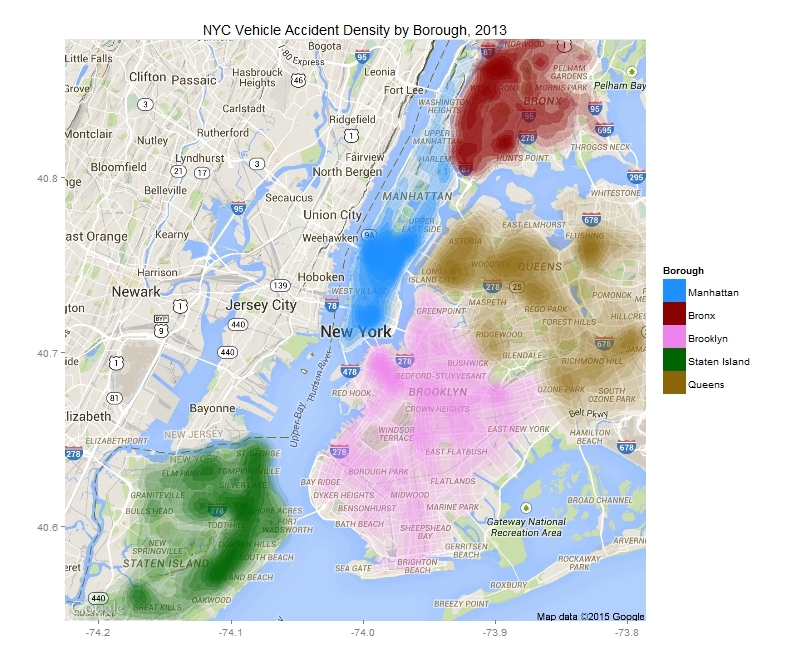 Next, I plot 2013 accident densities by borough. I write a function boro() that drops all observations with a missing street name and subsets the 2013 data based on borough. I stack them together while adding borough names, then assign each borough a color in vector col_vals. I use stat_density2d’s group parameter to plot each borough’s density layers separately with different colors.